Animals make use of trees from top to bottom. Alive or dead, standing or fallen, trees are places for nesting, resting, hiding and food. For most wildlife habitats trees aren’t an option. They’re vital, so plant them first, as they will take longer to mature. Trees aren’t all equal in value, so do some research before buying. The Arbor Day Foundation is a terrific source of information about trees. They’ll even send you a package of 10 different varieties in exchange for a $10 membership. The specimens are small, of course, but it’s an inexpensive way to add diversity to your yard. You can order small trees online, too, or acquire them through your state’s Wildlife and Parks Commission or County Extension Service. Your state’s forestry service may offer low-cost variety packages. Just about every tree species will provide cover and nesting places for birds and other animals. But when your trees also offer delicious food, well, they become irresistible. Experts use the term “mast” for the fruit product of trees and shrubs. Mast includes fruit, berries, nuts and seeds, and their importance to wildlife can’t be overstated. Mast feeds animals in summer, fattens them up in the fall and helps them survive through winter. Nuts are the hard-shelled mast of certain trees — acorns, walnuts, and others. They’re high in protein, carbohydrates and fat. Many people consider such trees to be “messy” because fallen nuts litter the ground. But nuts are long-lasting and, therefore, particularly valuable to squirrels, chipmunks and other animals in winter when other food sources are in short supply. 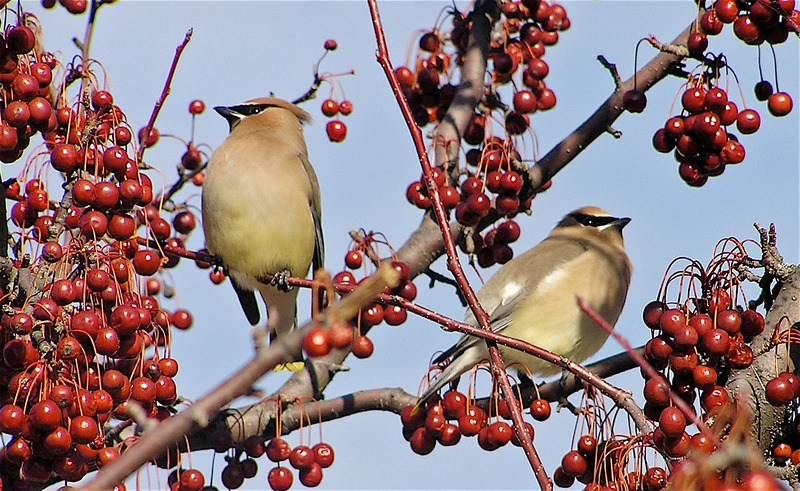 Trees that produce soft mast fruit, like berries, provide moisture, sugar, carbohydrates and vitamins to wildlife. Soft mast is fleshy and perishable. Some trees hold their fruit through the winter months and become “last-resort” sources of food when almost everything else has been eaten. You can extend berry season by planting several different varieties that produce at different times. These trees draw large flocks of songbirds and other animals as their fruit ripens. Fruits that fall to the ground are consumed by ground-feeding birds and other wildlife. Many species of butterflies sip juices from rotting fruits. Listed below are some of the trees that are highly valued for their mast. Many are also hosts for butterfly caterpillars to feed on. Most of the trees listed are deciduous, meaning they drop their leaves in winter, but offer cover the rest of the year. Try to include some evergreens in your landscape, such as pines, junipers or spruce, for year-round cover.